Big ProForm™ Liner installed on Upper East Side! VIck is proud to be a ProForm™ Dealer! A sweet view down the new liner…notice the change to oval at the base. This Liner could not be inflated to the to due to neighbor’s concerns. They would no allwo for a scaffold or stanchion to be placed on their roof. The chimney was breached approx. 20′ below from the top and a steel extension was slipped in from the top. 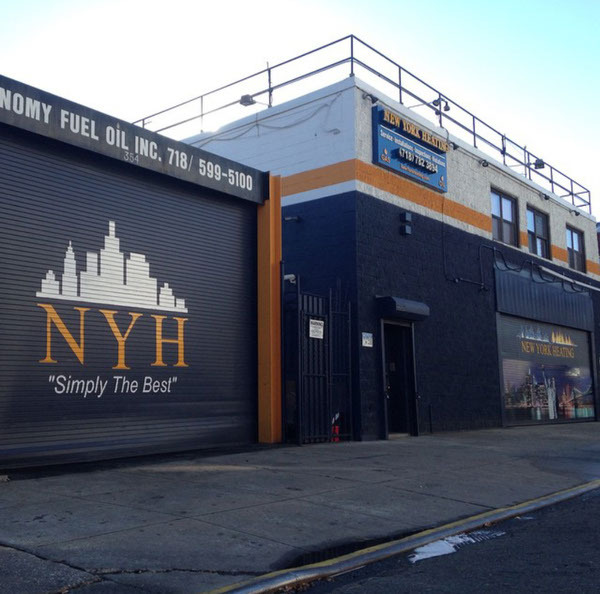 Big Apple Chimney installs a 12″ x 60′ Dual Fuel ProForm™ Liner in this Brooklyn Apartment Building. NEW YORK CITY’s PROFORM™ DEALERSHIP LINEUP IS COMPLETE!! We are exited to announce all five dealership slots for NYC have been filled and what a lineup it is! We couldn’t have handpicked a more professional group of Chimney Contractors if we tried. ProForm Chimney Restoration™ is proud in announce its newest Dealer…Flue Tech, Inc.
On this sunny day, FlueTech installs their first ProForm™ liner as a Dealer with support from our professional support team. We look forward to many more! Last week a ProForm™ Chimney Liner was installed in this beautiful celebrity mansion in Alpine, NJ. A 60′ x 12″ diameter chimney was used to reline this 12″ x 12″ terracotta flue. Extreme Rain couldn’t stop this install!